Today, thanks to Multicultural Kids Blog, I have a chance to share with you Languages4kidz, an early language learning program for teaching Spanish and English to children 6 and under. The goal of the program is to expose children to the target language (English or Spanish) as early as possible. There are four main packages, each one designed for use with children of different ages: babies 3-24 months, toddlers 2-3 years, preschoolers 3-5 years, and children 5-6 years. 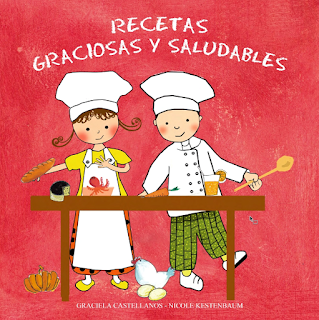 The books are engaging and teach basic concepts that you might find in a Pre-K or kindergarten program. 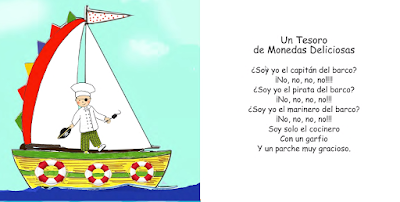 They are fun read-alouds for both the reader and the listener. The teacher's guide is very comprehensive, explaining child development at the beginning, a thorough description for using the guide, and then the lessons. The music time can include songs, nursery rhymes or fingerplays. 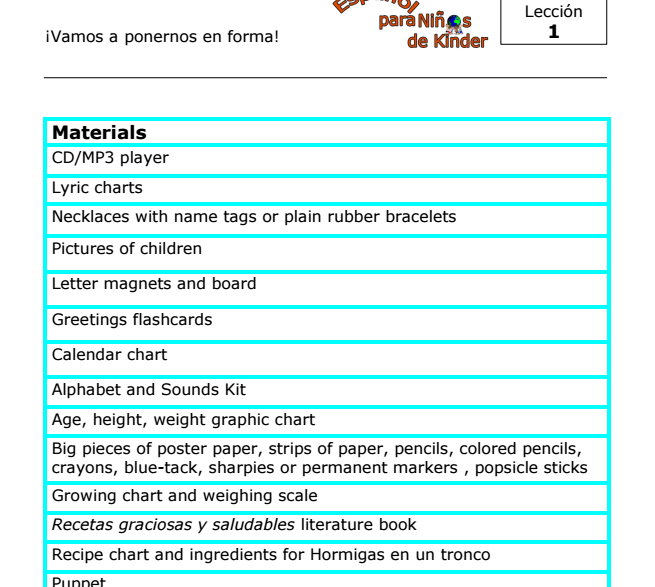 The guide gives examples of ways to make the reading time more interactive using several different methods, such as echo reading and choral reading. 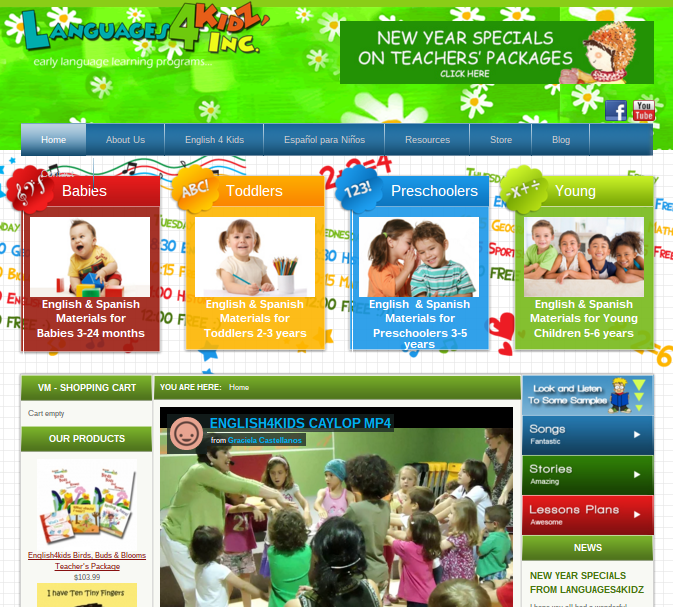 The lessons are very much activity-based, and they are fun for the children. However, this is not a no-prep program. There is a good deal of preparation required on the teacher's part. They may need to draw/create materials to use in their lessons, or gather ingredients/materials for the activity that are not included in the packet. 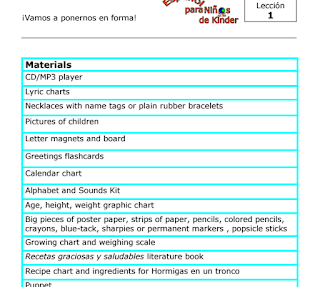 For example, here's a partial list of the materials you'll need for lesson 1. This program also requires a teacher who is fluent in Spanish. 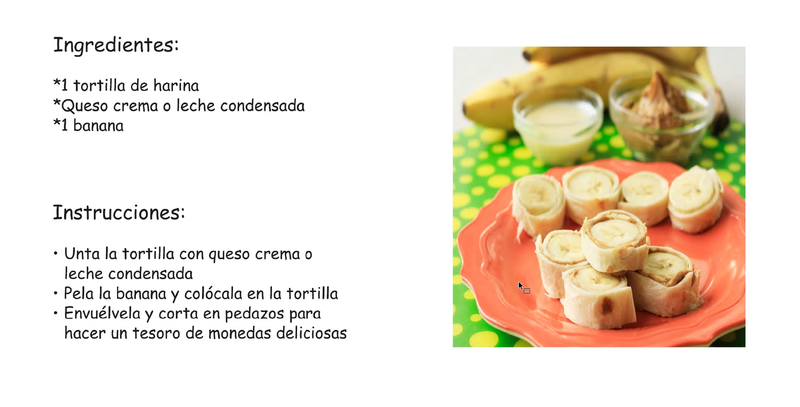 So if you are a parent or teacher who speaks and reads Spanish, this may be a good fit for you. If you don't know Spanish, then you'll more than likely need to pass because you won't know how to pronounce the words and phrases listed in the lessons. Overall, the lessons are fun, instructional, and well thought out. Mrs. Graciela Castellanos is the founder of the company. According to the website, she is a native of Venezuela with nearly 30 years of teaching experience. 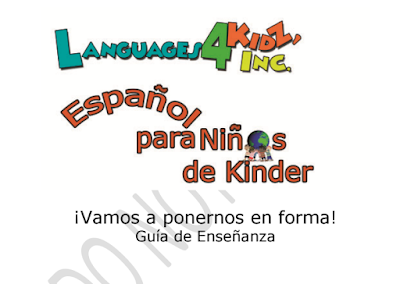 You can download examples from the Languages4kidz.com website. Overall, I think this is a nice program for educators who are fluent in the language and have the time to devote to preparation. 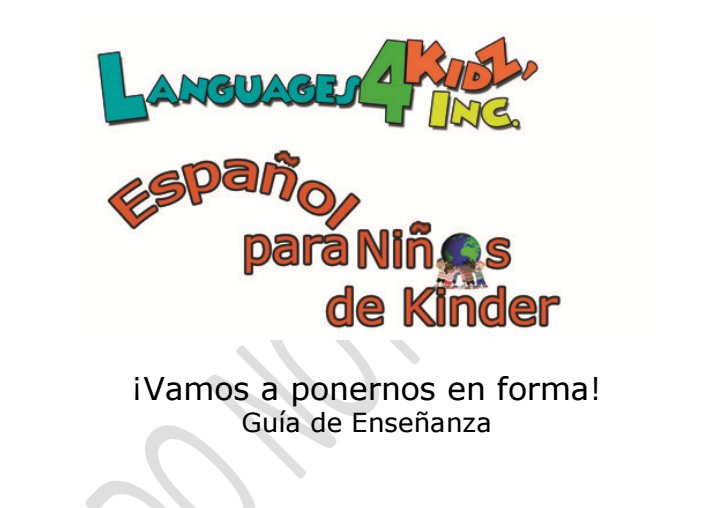 If you'd like to learn more, visit Languages4kidz.